Mexico City – On every equinox, tens of thousands of people arrive at Mexico’s archaeological sites to contemplate the wonders left by ancient civilizations. The ritual, however, forces archaeologists to expand their efforts to protect the pyramids. 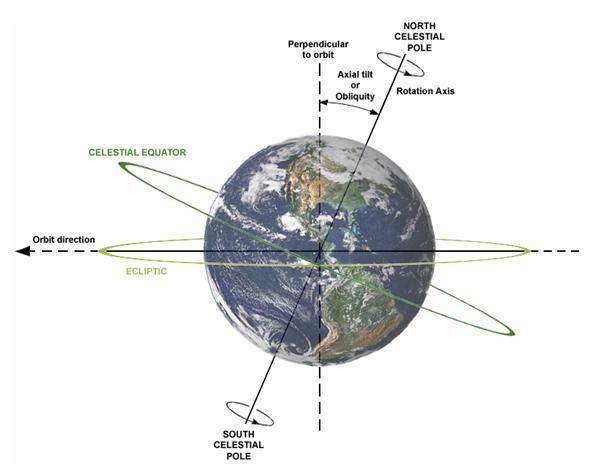 The spring equinox, which marks the beginning of the season in the northern hemisphere, is Sunday at 2321 GMT, when the equator is on the same plane as the sun and day and night are both 12 hours. Pre-Hispanic peoples knew these phenomena well. They made their buildings a function of the equinox, because this indicated to them suitable times to plant their fields, go to war or hold coronations. At Chichen Itza, on the Yucatan Peninsula, the shadow of a snake that is made of inverted light triangles falls down the steps of the Kukulkan pyramid. 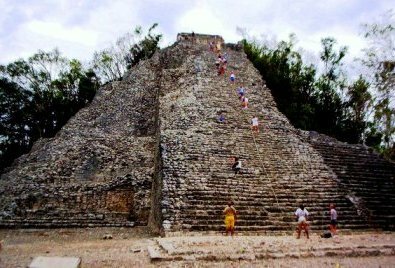 At Dzibilchaltun, also on Yucatan, the sun rests on the Temple Of The Seven Dolls. Sites like Teotihuacan, Palenque, Cuicuilco or Monte Alban traditionally host large crowds on March 20-21. Archaeology enthusiasts and mystic pilgrims come together on the ruins. The moon will be the closest to Earth it has been in 18 years on March 19th 2011 during the vernal equinox. This year the vernal equinox will occur on Sunday March 20th. Today is also Sun Earth Day. An equinox occurs twice a year with one marking the beginning of spring and the other marking the beginning of fall. It is when the Earth’s tilt is neither pointing away or towards the sun and the planet’s equator is in direct line with the sun. Basically, the sun is on the same plane with the Earth’s equator. The supermoon (astronomical term: perigee-syzygy) is a real and astrological phenomenon. Not only is the moon at it’s fullest, it is closest to the earth. This year the supermoon will appear near the vernal equinox. Although NASA says that there is no evidence to suggest that there is a relationship between the supermoon and disasters, including earthquakes and the weather, the moon does play a role in the earth’s tides. The gravitation of the moon pulls the earth’s oceans as the planet rotates. Scientists do not think the moon’s gravitational pull will affect the earth’s mantle, thus pushing on the crust and tectonic plates slightly causing earthquakes. Experts say that such crowds constitute an excessive burden on the pyramids and can harm their structures, so there have been restrictions for some time. In some cases, like Kukulkan, restricted access is permanent, while sites like the Pyramid of the Sun at Teotihuacan impose limits on the number of visitors specifically for the equinox. For this year’s equinox, Mexico’s National Institute of Anthropology and History (INAH) is launching an operation to minimize damage and prevent accidents by controlling the flow of visitors and restricting the areas of the sites that are accessible, as well as preventing the use of portable stoves and other devices in equinox rituals. ‘The INAH does not yet have an area for mystic affairs. There is no scientific evidence about energies and those things that are rife in this new-age era. Bt while we are no experts on energy matters, we are experts regarding the pre-Hispanic cultural heritage,’ INAH spokesman Julio Castrejon told the German Press Agency dpa. Castrejon says that the idea of promoting March 21 as ‘a special day to recharge with good vibes’ sprang up about three decades ago. ‘That was when the party started,’ he recalls. Some indigenous cultures have always held rituals for the equino. But things have changed. ‘This didn’t use to be a mass event or to pursue energy-recharge goals. They were just rituals held by very specific communities,’ Castrejon says. The number of visitors has decreased in recent years, partly due to awareness-raising campaigns by those in charge of looking after Mexico’s cultural heritage. These campaigns ask people to visit the sites on other dates, or to choose the less famous ruins for their celebrations. Last year, 70,000 people visited Teotihuacan, around 50 kilometres north-east of Mexico City, for the spring equinox. In previous years, the event drew 100,000-200,000 people. At Teotihuacan, visitors will not be allowed to climb to the top of the Pyramid of the Sun, which is a small space some 63 metres above the ground. They will only be allowed to climb to the third segment of the monument. For ancient civilizations, links between architecture and the astronomical map served to measure time and were directly tied to survival. ‘The (equinox) astronomical phenomenon actually happens on Sunday March 20 at around 5 pm (local time), or a bit later, not on the 21st,’ Castrejon notes.